Guru Angad Dev Veterinary & Animal Sciences University (GADVASU) will honour the innovative and progressive farmers in the field of Livestock Poultry & Fisheries. Dr. Harish Kumar Verma, Director Extension Education, GADVASU revealed that the awards have been established to boost the livestock sector in the state and will consist of cash prize as well as citation & shawl .Further, Dr. Verma informed that to boost the livestock sector, the awards will be been conferred to progressive/innovative farmers in the important fields of livestock profession. It is pertinent to mention that there are separate awards in dairy farming for cow & buffalo farmers. The cash prize for buffalo and cows categories are Rs.21000/- each, for Poultry, Fisheries, Piggery and for Goat farming Rs.11000/- to each. To develop entrepreneurship a new category has been added that is Entrepreneur for the Value Addition of Livestock Products. This award is also to the tune of Rs. 11000/-. Now the total categories are seven. Dr. Verma revealed that the application forms can be obtained from the Directorate of Extension Education, GADVASU, Ludhiana, and from all Krishi Vigyan Kendras in different districts, Deputy Directors of State departments of Animal Husbandry, Dairy Development, Fisheries and from the General Managers of all Co-operative Milk Plants of the respective districts also. The contesting livestock farmers will be short listed for the awards based on their contributions in respective fields and further a team of Deans and Directors of the varsity will visit the different farms for making on the spot assessment and winners will be declared by the Committee. Dr. Verma revealed that these awards will act as a source of inspiration for the unemployed youth for starting their own livestock enterprises and as well as it will bring healthy competition among the farmers to adopt the livestock farming on modern scientific lines and also to improve their productivity and profitability which will help in the diversification of agriculture with livestock enterprises. Whereas visit to farms, help university experts to brush up their modus operandi to provide updated and fresh remedies. Livestock farmers also get new ideas and knowledge from experts. The desirous livestock farmers should submit their application timely, Dr. Verma added. Forms can be downloaded from website www.gadvasu.in. 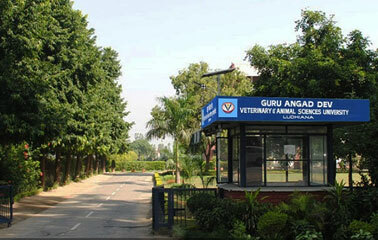 The awards will be conferred on 15th March in a special function during Pashu Palan Mela at GADVASU, Ludhiana Campus. The Last date of receipt of applications is 15 Feb. 2019.